With a contemporary Western flavor and plenty of intrigue and suspense, Gary Hart's latest novelDurango brings readers into the world of the small southwest Colorado town as the close-knit community is rocked by scandal and controversy. As a drawn-out battle for water rights looms over the town, one of Durango's most eminent citizens, stoic former politician Daniel Sheridan, is implicated in a shocking transgression, forcing him to clear his name and resolve the contention that has weighed upon his hometown for decades. 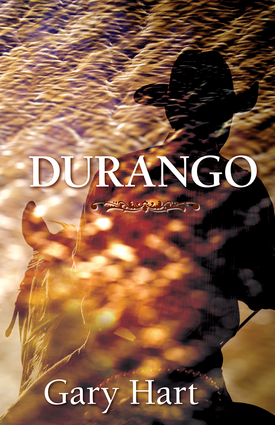 Drawing on the classic themes of loyalty, honor, redemption, and the land,Durango presents an unforgettable saga of the American west. Gary Hart has been and continues to be one of America's great public servants for almost four decades, from his role in the 1972 McGovern campaign to his years as a visionary senator, from his leadership on national security matters before and after 9/11 to his contributions as a respected statesman on various issues. He is the author of several books, including The Thunder and the Sunshine: Four Seasons in a Burnished Life, as well as two novels published under the pseudonym John Blackthorn. Hart lives in Denver, Colorado.